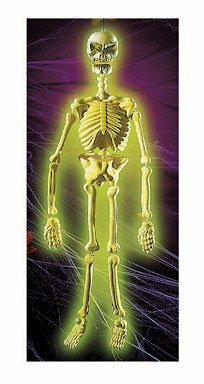 This 36 Inch Glow Skeleton Is Completely Assembled And For Hanging In Those Ghoulishly Dark Areas. Made Of Blown Molded Plastic. Made of blown molded plastic. Country Of Origin: China. Weight: 3.25 lbs.